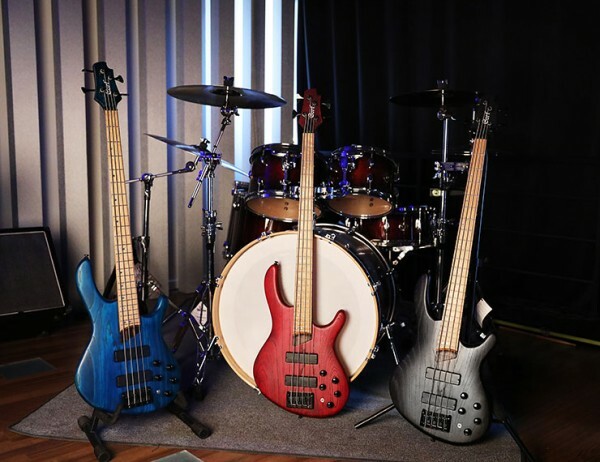 Cort continues its material innovation in the Artisan Series of electric bass guitars with the introduction of the Artisan B Plus Roasted. This new model combines four tonal woods—including an all-new roasted maple fingerboard treatment—in one balanced instrument. The foundation of the Artisan B Plus Roasted is its swamp ash body, characterized by its scooped-mids sound with a bigger low-end and clear highs for a more balanced tone. 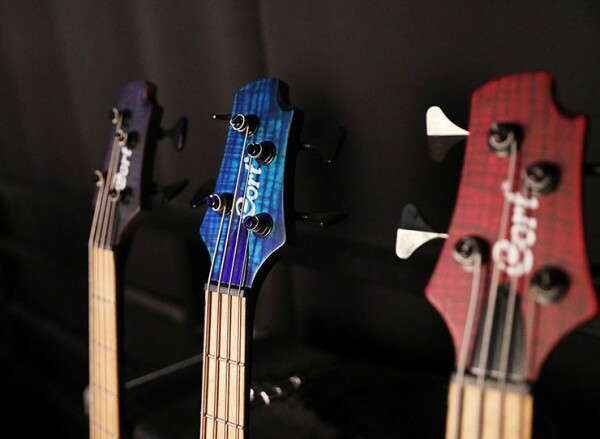 The open-pore finish on this bass enhances the resonance even further. 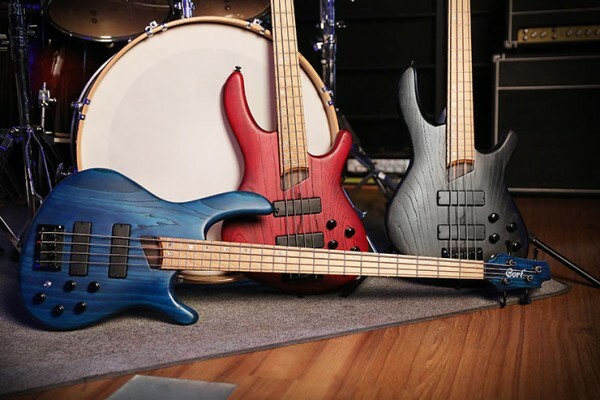 The wood’s natural light weight and appealing grain pattern are also desirable aspects of swamp ash. To complement the brightness of the swamp ash body, the Artisan B Plus Roasted uses 5-piece panga panga and walnut for the neck, resulting in a tight and defined midrange. This combination creates an ideally balanced sound to round out the bass spectrum. Cort’s latest material innovation in the Artisan Series is seen and heard though the “RM” roasted maple fingerboard on the bass. The maple has been treated in an oxygen-free oven at a high temperature, stabilizing the wood for a bigger, bolder tone while also developing its golden-brown look for vintage appeal. The translation of the Artisan B Plus Roasted’s tone is reliant upon the instrument’s pickups, and the Artisan B Plus Roasted doesn’t disappoint in this regard. 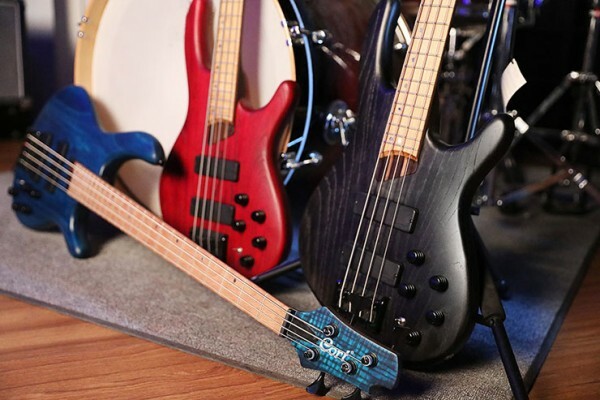 The Bartolini MK-1 pickups deliver plenty of punchy and warm mids as well as transparent and brilliant highs for a superbly balanced sound. Meanwhile, the Markbass MB-1 EQ provides a natural, transparent boost that doesn’t color the organic nature or resonance of the tonal woods. The Artisan B Plus Roasted has a 24-fret, 34-inch scale, providing plenty of versatility, and the double cutaway design provides excellent access to the upper frets. Also improving playability are the Hipshot Ultralite Tuners, which provide tuning accuracy and stability. 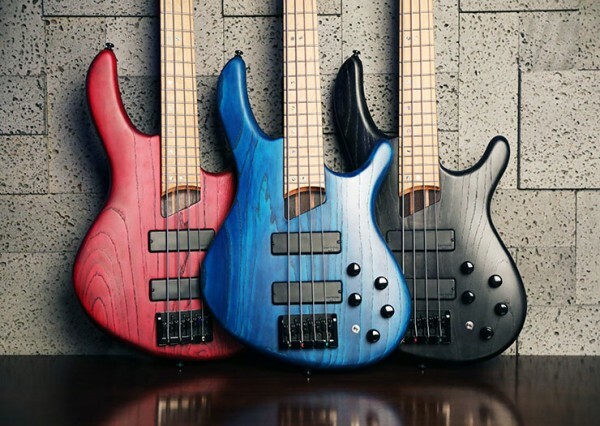 The Artisan B Plus Roasted is available in three stunning finishes—Open Pore Aqua Blue (OPAB), Open Pore Trans Black (OPTB), and Open Pore Burgundy Red (OPBR)—each with black hardware and matching headstocks. 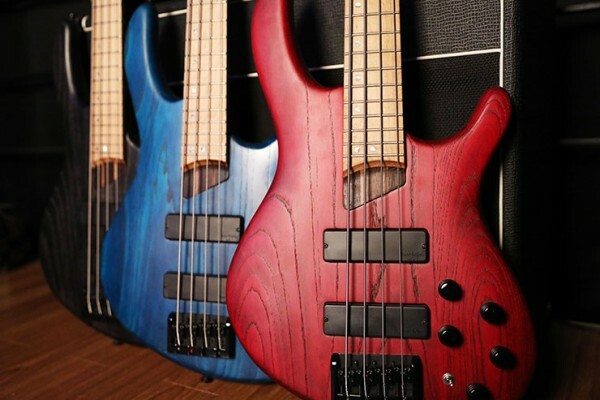 Four and Five-string models of these guitars are available.